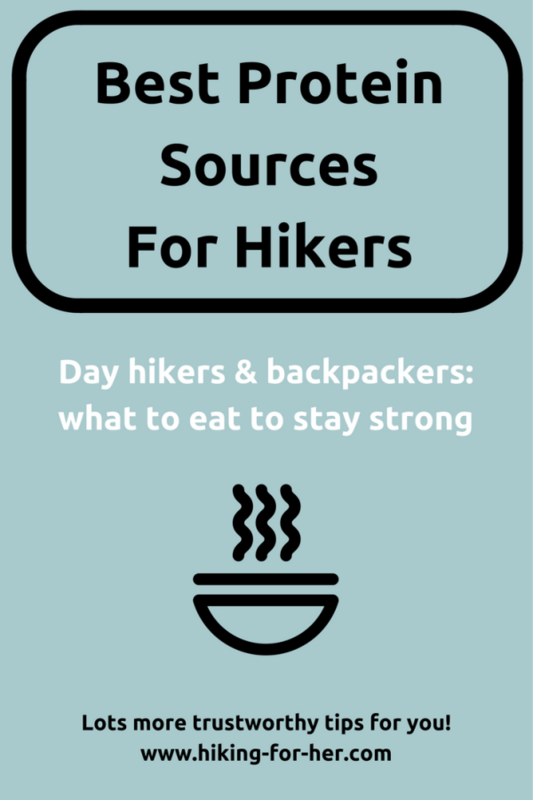 This handy resource on the best protein sources for hikers not only names names. It tells you exactly when to use this protein source as a hiker. Because not every hiker needs high protein food sources. Or high protein amounts in every meal. This is not dietary advice! You know your own body, its likes and aversions, its intolerances and allergies, its cravings and digestive capacity. Use these best protein sources for hikers as suggestions, rather than as an all encompassing exhaustive resource list. If in doubt about your body's reaction to a new protein source, do an "at home" test before bringing the food along on a hike. 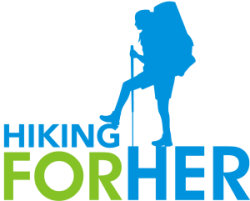 Hiking For Her is not responsible for your trail choices, only you are. You can skip the next geeky section if you're not keen to admire what a protein molecule can do for you on your next hike. Here's a crash course on why you, an ambitious hiker, need protein. Every system of your body, and every cell in your body, uses protein molecules for important functions. You rely upon the strength in your skeletal muscles and the connective tissues surrounding them to get you on the trail. Sufficient protein intake gives you strong muscles, tendons and ligaments. Another way to stay strong as a hiker is to maintain your body weight by avoiding (off trail) food cravings and binges. Adequate protein intake helps regulate appetite, which can be useful on a backpacking trip to keep you feeling full. Read more about that here. If you're hiking for weight loss, here are some tips. When you hike, you're pushing your body hard. Vigorous exercise over extended periods of time (backpackers, we're lookin' at you) has been known to suppress immune function. Your white blood cell warriors require protein to do their defensive jobs, so give 'em plenty of it. Fight off "the crud" (technical term) by eating enough protein every day of your backpacking trip, not just on binges when you get off the trail. As you hike, your muscle and brain cells in particular are sucking down glucose at a fast rate. That's why you're counseled to consume carbohydrates for energy while you're in the thick of it on a hike. 1. Protein molecules stay in the stomach and take longer to be pulled apart after ingestion, which keeps you feeling full longer and stabilizes blood sugar so you can avoid the "start fast and then crash" cycle. 2. Protein rich foods are super low on the glycemic index, which reinforces what we said above on supporting the stabilization of blood glucose levels between meals. Okay, enough with the science stuff. and pretty cost effective for the amount of protein you receive per serving. But not all jerky is created equal. I prefer "clean" protein sources like this Tanka buffalo jerky. EPIC is also a great choice, with various flavors. These high quality protein sources seem expensive compared to the stuff that hangs near the checkout at your local grocery store, but will treat your liver and kidneys better while delivering delicious, satisfying nutrients to your body. Sure, we're looking at backpackers, especially section hikers and thru hikers. And sure, I get it: protein sources can be heavier to carry than carbs. You want the biggest protein punch for the weight. You're also tired, so you want something super simple to prepare and consume it quickly. You can get away with a low protein lunch/snack menu, and make it up at dinner once you're off the trail. But I caution you against skipping protein with your breakfast. It sets you up for sluggish, tired trail behavior midway through the morning. Around one third of your breakfast calories should be protein. In a rush to get to the trailhead? Toss raw nuts into your breakfast oatmeal, or chew on them as you drive. Try sipping a high protein smoothie, using the protein powder or yogurt of your choice. Eat a few hard boiled eggs which were peeled ahead of time. At 6 grams of protein per egg, you're doing yourself a big favor. Too bland by themselves? Slather on some salsa! Pre-made bacon can also be your friend before a hike, as long as the bacon grease has been minimized (to avoid a gut ache). Turkey bacon is a good choice for this reason. Canned mussels for your muscles! All of these choices can be dug into quickly, or fancied up with spices and herbs and added to prepared beans and grains for a bigger meal once your boots come off in the evening. On the first few days of a backpacking trip, bring along one of the best protein sources for hikers: whole milk cheese, with Swiss cheese being highest in protein. Dehydrated shredded cheese can also be one of the best protein sources for hikers because it's lightweight, cheap, and tasty when dehydrated at home. Digestion can slow down as you age. The vigor of your immune system also is waning, and regular protein consumption will help you to keep building strong white blood cells so you can effectively fight off pathogens you encounter in trail dirt. Or from your trail buddy's unwashed hands. So make an effort to sneak in protein with every snack and meal. Let's just tackle the "no animal products" dilemma in terms of getting enough protein on a hike. You can sort yourself into the correct "tips" category, right? Or if you're planning backpacking menus for vegetarians but don't know the food rules, get up to speed here. Worried about possible food poisoning on a hot day? Gotcha covered with these hiking food safety tips! bring dehydrated versions of black bean puree and hummus for dips before dinner, or use as snacks along the trail when you have plenty of water for rehydrating. Patagonia Provisions makes an extremely tasty soup mix, which I review for you here. any kind of well re-hydrated legumes that appeal to you. And that's enough knowledge to get you down the trail, and back to the trailhead, for casual day hiking or a quick overnighter. But once you begin to tackle double digit mileage, carry a lot of gear, and throw in some elevation gain and loss, your muscles need more than fast fuel. They need to rebuild from wear and tear "injuries"
Amino acids in protein are building blocks for this necessary activity. And you need a way to tame your big appetite. Enter the star of that particular show, protein. If you find yourself ravenous (capital R) even after you eat, you need more protein. Make a note for next time to pack more. And try drinking more water with meals to maximize your digestion and add volume. If you pass foul smelling (sulfurous) gas after eating protein, your digestive enzymes aren't up to the job of pulling apart the long strings of protein molecules into amino acids. If beans are the culprit, ease off your consumption or carry tablets of digestive enzymes. If a heavy protein meal is the culprit, you might not have enough stomach acid to begin or finish protein digestion in your stomach. Get this low stomach acidity checked out when you're back at home. Not all of the best protein sources for hikers will agree with your digestive system. You can try to change the microbial populations in your gut, by ingesting prebiotics like asparagus and probiotics in yogurt or capsules. Or carry these probiotic powder packets for daily ingestion on your hiking trip. Or you can give in gracefully and keep notes in your trail journal about what works, and what definitely does not work, in your backpacking menus. It's tough to cover every question you might have, so contact me and I'll dig a bit deeper with you. Carbohydrates get almost all of the attention with hikers, but it's protein doing the hard work of keeping all body systems at peak function. Protein today, protein every day, on the trail! Now that you've got your protein covered, turn your attention to other hiking food.